Nail Art Design Training ! we provide one-to-one and one-to-many nail art training at your salon, when your salon opening for customers. this program only for advanced nail technicians. Phibrows Microblading is a manual "hand" method of permanent cosmetics for your eyebrows which creates extremely fine natural looking hair strokes. The results? Perfectly natural looking, thick, full brows. Every girl has a dream to have a perfect wedding, From dress, jewellery to all the arrangements at venue, catering and everything. today, nail art has become such an essential part of your dressing that you really need to move it up in your list. Becoming a nail technician is way more than manis and pedis? In fact, there are so many skills you need to learn, Take a look at our courses and feel free contact us we can help you to build your own beauty career. Gelish is similar to the regular nail polish, but it lasts for up to three weeks with no chipping or fading of your nails. when we apply the normal nail polish, we usually have it painted with the base coat and then the color polish that customer selected. But Gelish inludes many steps of applying different layers of coating. Gel extension is to extend the length of natural nails so we can put lots of designs, color and with different shape to express yourself, impress others. Nail Magic, we are especially good at Gelish and Gel extension, you may find your favourite design from any nail art magazine, or from our Gallery webpage, I am pretty sure there is lots of designs you like and let us make the magic happen on your hands. Every girl has a dream to have a perfect wedding with his dream boy. She wants everything to be perfect on her big day, sure include their nails. 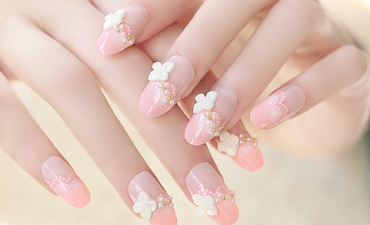 Today, nail art has become an essential part of their dressing. We help you in creating a modern and stylish look of your nails to match your dressing and wedding style, you may come to our salon weeks before your wedding day, discuss with us and select the design you like, get hands, nails treatment, and also we need measure your nails and toes. Then you just collect the design before your special day. You may organizing your own nail party with us, for your wedding, birthday party, create memorable moments or just relaxing with your family and friends. Phibrows is a technique of semi-permanent drawing of eyebrows, with hyper-realistic results. The shape of eyebrows is calculated only according to the morphology of the face and the golden mean, the number φ (1,618). The color is determined only according to the natural color of the hairs in the eyebrows and the hair. Refreshing of the color is done once in 6 months to a year and a half, depending on skin quality. Symmetry is determined digitally when the fascial muscles are relaxed (when the client’s eyes are closed).By adding carefully placed hairstrokes the brows can be thickened out , the shape changed to enhance the face and frame the eyes. The results looks so natural. 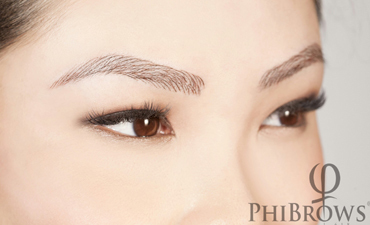 We are the first Phibrows service provider in Singapore. call us for more details. Nail Magic, where you would have the most relaxing and comfortable time & be pampered by our whole-hearted, skillful technicians. We are proud of the great quality services and our high sense of responsibility for any service we provide you. Nail Magic is decorated and equipped with modern tools and instruments to make up an airy & elegant space. Go to the salon, clients would find the most comfortable & relaxing from the moment walking through our doors. After 10+ years serve our valuable customers, we are going to focus on training and workshop for those nail technician who want upgrade their nail art skills and the nail salon owner who wish to upgrade their service level with skillful nail artist.